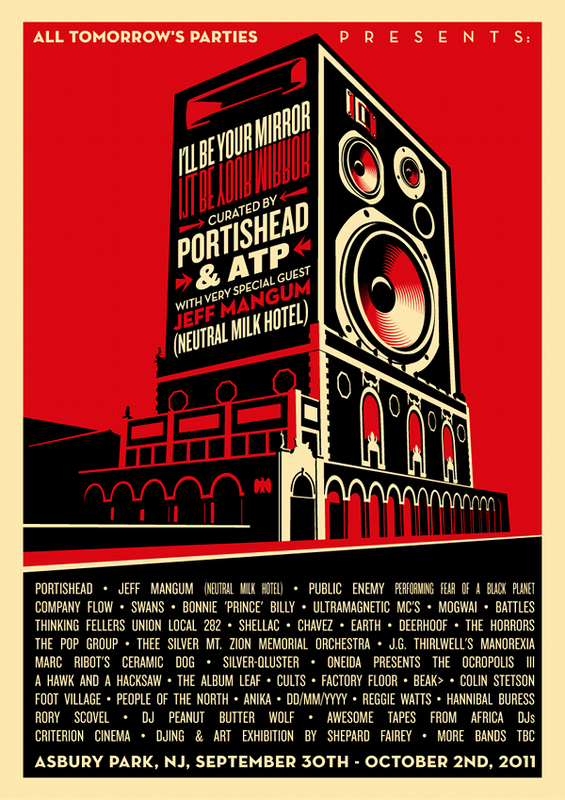 The All Tomorrow’s Parties “I’ll Be Your Mirror” music event, curated by Portishead, will occur in Asbury Park on Sep 30 – Oct 2. Manorexia will perform on Oct 2. 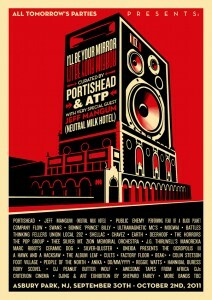 To celebrate the event, All Tomorrows Parties are streaming a “mix-tape” of the artists that will appear. Artists on the “mixtape” include Manorexia, Oneida, Portishead, Battles, A Hawk And A Hacksaw, Cults, Neutral Milk Hotel, Thee Silver Mt. Zion Memorial Orchestra, Swans, Deerhoof, The Pop Group, Beak>, Chavez, DD/MM/YYYY, Hannibal Buress, Shellac, People Of The North, Anika, Earth, The Stars In His Head , Factory Floor, Company Flow, Thought Forms, and many more. The lineup of Manorexia for the ATP show will be JG Thirlwell (laptop / compositions), Leyna Marika Papach (violin), Elena Moon Park (violin), Karen Waltuch (viola), Isabel Castellvi (cello), Peter Wise (percussion) and David Broome (keyboards).